Setting up my photo site on Zenfolio was my alternative to grief counseling. Last year Zenfolio added Blogging capabilities. So I started a blog. It has had days when a thousand people per day would visit and other days when no one would visit. The spark was lit, in that I realized that there was something unique to this thing called blogging. For some strange reason, some people liked reading the blog. My writing was attracting more people, than my photography ever did. Setting up the blogs on WordPress.com was an experiment. I wanted to learn how to do it. I also wanted to learn more about Search Engine Optimization. The WordPress.com blogs attracted visitors. Much thanks has to go out to WordPress.com for making that possible and at no charge. In the short time that the blogs were running, the visitor counts rose. The growth was interesting to watch. F-Stop got off to a very slow start compared to Uniquely Toronto. Then things reversed and visitor counts on the F-Stop blog took off. This week I have been sifting thru what happened. I believed that I could grow the visitor counts. The question for me was where to do that. Self Hosting versus Free Hosting. Last night something dawned on me. I now believe that I was asking the wrong question. I was concerned about the where. Instead, I should have pondered why the blogs were there. So why are my blogs online? Interesting question. F-Stop took off for a reason. It dawned on me that the reason why the interest in the F-Stop blog had grown, was because it helped “others”. Most of the posts on F-Stop, were about potential solutions and answers to questions which folks were searching for. Uniquely Toronto also did a bit of that by helping people become aware of shows and events. But it was offering people answers to questions they were “not” searching for. It offered answers to questions, which they never had. For example: How many people were actively searching for info on when The Rolling Stones might play in Toronto? There you have my epiphany. A blog will get growing numbers of visitors if it helps others, by providing answers to questions and solutions to problems that the blog visitors are actively looking for. I never claimed that I was the brightest bulb. This is basically Business 101. 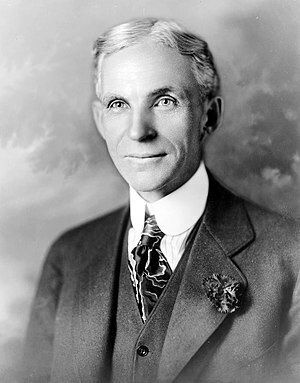 This is the reason why sales of Henry Ford’s Model T took off and changed the world. Blogging is not that much different. Till now everything had grown organically. There was no plan, nor purpose. So now comes the grand change. The core principle/purpose going into the future, will be to answer questions and offer solutions to problems. The idea of “Build it and they will come” only works in the movies. People need to have a reason to come to your blog. SEO Tricks and everything else won’t keep people coming back to your blog, if there is nothing there which can help them in some way. If you have a blog, I would suggest to ask yourself some questions. Why is your blog online? What is the reason that will keep visitors coming back for more? How are your blog posts helping your blog visitors? Wake Up call for Canada. Wages in Mexico now lower than those in China, Indonesia, the Philippines, Thailand and South Korea. Intestinal microbiota metabolism producing Trimethylamine-N-Oxide (TMAO), may be a contributing factor in developing Cardiovascular Disease in Humans. Very important study just published in Nature Medicine.